I can advise you on what your organization should be posting on social media, where to post it, how often, and the best times to post in order to reach your customers. I’ve researched social media communication and strategy over and over, and have even written previous blog posts on the subject. However, I’ve recently become interested in another topic that is equally as important as social media planning. So in this blog, I’ll be discussing what to do when your social media strategy goes wrong—in other words, what to do in the case of a social media crisis. First, let’s discuss what a social media crisis actually is. A social media crisis can be created internally on a social media platform. For example, using a potentially inappropriate hashtag without first researching it can cause a minor crisis. External factors that cause people to reach out to your organization through social media can also create a crisis. These events might be out of your control, but will give your brand a bad image if left unattended. It’s surprising to me that the more I read about crisis communication, the more I find that many brands don’t know what to do in the case of a social media crisis. In fact, many brands don’t have any social media crisis communication plan set in place. This is particularly unfortunate considering the amount of time most organizations put into their social media communication with clients and customers. So in the next few paragraphs, I’ll explain what every organization needs to know about social media crises and how to handle them in five simple steps. Any social media communication strategist will tell you how important it is to create a comprehensive plan for posting on each of your specific social media platforms. Why then, wouldn’t you also have a crisis communication plan for what to do if that same strategy goes wrong? Planning for what to do in the worst-case scenario will help to prepare your organization in the event the scenario becomes a reality. This is especially true in regards to social media, because one slip up can go viral in a matter of minutes. In order to plan for a social media crisis, or any crisis for that matter, your social media team should brainstorm several possible scenarios and plan examples of their responses to these events. Knowing which member of your team is responsible for taking over social media communication in the event of a crisis and what they should post in response will also benefit you when the crisis hits. So, when your newest marketing intern accidentally tweets about their #NotSafeForWork escapades the previous weekend from the corporate account, you’ll be thankful you planned a response ahead of time. In more serious circumstances, having a plan is even more valuable. Preplanning will help to ensure that your response to the crisis doesn’t come across as insensitive, nonchalant, or even offensive. This tip goes hand in hand with the first. It’s extremely important to issue a response to your social media crisis as soon as possible. Of course, it is easier to respond sooner if you already have a planned response in place. One of the worst things to do during a social media crisis is to avoid the problem. 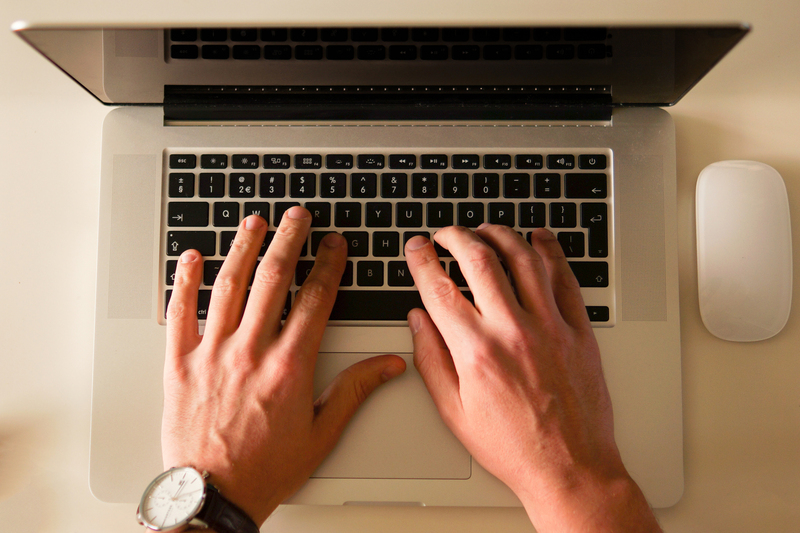 Word will spread quickly, and it could anger your clients even more. Regarding any crisis communication, the best thing to do is respond promptly. Your clients and customers are constantly using social media; therefore, your crisis communication plan should be implemented as soon as you realize there is an issue. When a DiGiorno employee used a trending hashtag in a post via the company’s twitter, there was a great deal of backlash. The tweet stated: “#WhyIStayed You had pizza.” However what the employee did not realize was that the hashtag #WhyIStayed was referencing why women stay in abusive relationships. The company was quick to respond to the insensitive tweet, which was promptly deleted. The company issued several apologies to angry followers and the crisis was dissipated within minutes of the original tweet. This quick response allowed the company to gain control of the situation, and rebuild their brand image. In the event of a social media crisis, or any crisis for that matter, the best thing you can do in response to your critics is to be honest. There may be significant unwanted attention on your organization. One of the most common mistakes made while implementing a social media crisis communication is to be vague or ignore the public. Honesty and humility both go a long way in repairing your brand’s image to your clients. If your company makes a mistake that upsets or angers your audience, the best way to regain their trust is to simply apologize. Having a crisis communication plan in place will help you to be prepared for this. Many organizations make the mistake of trying to cover up their social media communication errors and ultimately pay a steep price for doing so. When DiGiorno came under fire for the tweet mentioned above, the company tweeted their apologies to their followers one by one. They then explained that the insensitive tweet had been posted without first researching the hashtag used. Their honesty about the situation helped them to mend their brand’s image in the face of a social media crisis. As I mentioned previously, brushing a social media crisis under the rug is not a good way to deal with the situation. If that same marketing intern who made the mistake of posting on your corporate account is still working for you—hopefully, they’ve learned their lesson. When mistakes are made, it’s best to simply apologize and try to ease the tension. Being defensive will probably anger your audience further, which can be harmful to your crisis communication plan. Applebee’s had a social media crisis on its hands when an employee posted an image of a receipt the employee had received from a customer. On the receipt was a note left behind by a pastor who had paid the bill for a large group. 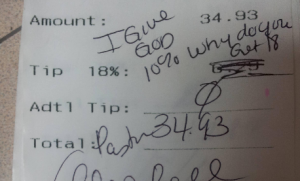 The pastor crossed out the 18% tip charged for parties of more than eight and wrote “I give God 10% why do you get 18.” After posting the receipt on Reddit, the employee was fired for “violating customer privacy.” However, this became a bit of a crisis for Applebee’s when they were reminded that only a few weeks earlier, an image of a customer receipt complimenting the restaurant’s service had been posted on its social media pages. Applebee’s social media team was quick to defend their actions and ended up angering their followers even more. This example only further explains how important it is to remain humble during a time of crisis. Being defensive won’t win over your customers, an incident that Applebee’s learned the hard way. Lastly, it is important to monitor your social media crisis from start to finish—however long that period of time may be. Monitoring the crisis will allow the situation to serve as a learning experience for your marketing team and help keep track of your audience’s response to the crisis, your organization’s crisis communication plan, and your employees’ engagement with customers. This is an important step in fixing your reputation during and following a social media crisis. When O2, a UK telecom company, suffered from massive outages that left thousands of their customers without service, the company monitored the situation in an exceptional manner. They kept their customers updated on their service and replied to inquiries individually–not to mention that the company’s responses to angry customers were hilarious and seemed to turn a major social media crisis into a minor issue. They were able to use the crisis as a learning tool, and rebuilt their relationship with their customers quickly. Because social media is so prevalent today, most organizations will experience some sort of social media crisis, whether it is big or small. Hopefully these five tips will help you, as well as your employees, to remain calm during a social media crisis. Having a crisis communication plan in place will better prepare you if and when your social media communication goes wrong. Be prompt, honest, and apologetic. Don’t be defensive, and monitor the situation. Listen and engage authentically to your audience, and they will forgive you in time. All you need to do is ride out the storm. Here at CATMEDIA, we make sure that we handle our social media with the utmost care. Our posts are carefully thought out and reviewed by directors in the company to help ensure there are no errors and that our audience will understand the message we are conveying. To avoid personal information being posted on the company’s social media platform, only one or two people have access to the accounts and they are not linked to employee personal accounts. If a crisis were to arise, we have plans in place that are much like the information mentioned above to handle the situation calmly and professionally. Do you have any other tips for how to handle a social media crisis? Please share them in the comment section below!